With Brexit potentially only a matter of weeks away, 2019 may not seem like the ideal time to be thinking of investing in the property market. Indeed, anecdotal evidence suggests that plenty of people are choosing to sit tight, pay down any existing debt as fast as possible and hold off from spending funds on big new purchases, whether those be holidays, home improvement projects, cars or property. While this is, of course, a deeply personal decision, dependent on an individual`s own financial situation and tolerance for risk, it may still be worth considering buy-to-let as a possible investment. Admittedly, buy-to-let property is no longer the goldmine it was perceived to be only a few years ago. Yes, sold property prices are holding strong in many areas of the United Kingdom, quelling fears over negative equity. However, HMRC has made matters considerably less lucrative for many landlords. Changes to stamp duty and the rolling back of mortgage interest relief mean that the cost of buying an investment property has gone up just as the anticipated financial returns drop. Add stricter mortgage rules and it`s easy to see why some people are turning back to pensions. That said, is there still a place for buy-to-let investments in helping to build your pension fund? The answer is almost certainly "yes", albeit with certain caveats. If you`re tempted, make sure you remember the following points. This is a particularly important step if you`re new to buy-to-let investments. Ask yourself whether your money might perform better for you elsewhere. Once upon a time, high rate savings accounts almost always offered better rates of return than property investments. This is no longer necessarily the case, but property investment necessarily means tying up funds in a bricks and mortar asset that will always have the potential to fall in value before you can liquidate its capital value. Meanwhile, investing in funds or shares through an ISA offers an exemption from tax on any income earned as well as capital growth. Conversely, property provides the potential to "add value" through renovation and decoration. Getting the insider view from other investors - particularly those with many years of experience - can make a real difference. You want them to be candid. Ask what the pros and cons are as they see them, and consider how what they say might affect your circumstances. In particular, think about what you would do if prices fell or interest rates rose and about the impact this might have on your ability to hold on to the property. Additionally, consider how you would finance any void period, when the property was without a tenant. Neither sold property prices nor investment potential are equal across all areas. You may need to look beyond your own area to find the right place in which to invest. Remember, too, that the "right place" does not automatically correlate either to the cheapest or the costliest. You are looking for an area with property you can afford to buy (and to maintain) and where there is a plentiful supply of suitable tenants. For some would-be investors, this might be a university city, with a constant flow of students looking to rent accommodation. Others might choose to target young professionals. Still others might prefer to rent to families. If so, it is important to look carefully at local schools, as property in the catchment of a desirable school is usually very easy to rent out. Conversely, a family property in a catchment "black hole" or in the catchment for a much less desirable school may sit empty and untenanted. Whatever demographic of tenant you choose, the probable rental yield is critical. Bear in mind that the current economic situation means you should be investing primarily for income rather than short-term capital growth. Finally, think about the practicalities. For example, if you are looking at an area that is some distance from where you live, ask yourself how you plan to arrange for the day-to-day management of the property. Will you try to do it yourself or will you use the services of a local property management company? If the latter, don`t forget to factor in the cost of doing so. 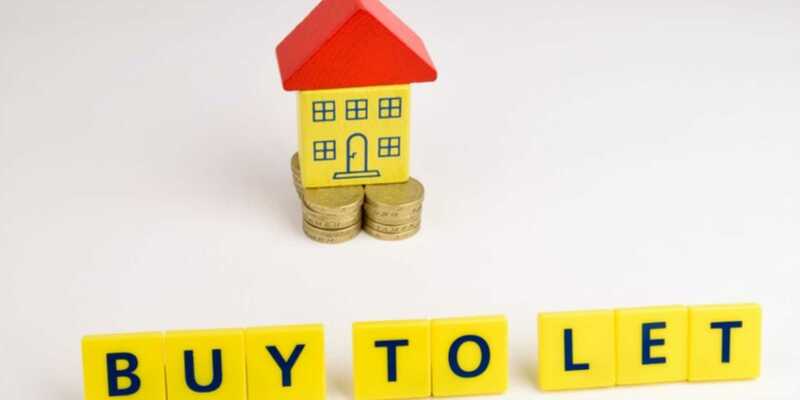 If you need a mortgage to buy your buy-to-let property, you must begin from the premise that a potential lender will require the rental income on the property to cover at least 125 per cent of the mortgage. Some may demand higher figures of 150 per cent. You should also expect to be required to produce a deposit that is considerably larger than those required for an owner-occupier mortgage: 25 per cent is fairly standard, but do not be surprised if some lenders ask for even more. Next, you must factor in the cost of arranging the mortgage. Again, this will be higher than for a comparably-sized owner-occupier mortgage. Once you know your mortgage costs and probable rent, you can assess whether or not buying a particular buy-to-let property should work as a viable investment. Don`t forget to allow for ongoing maintenance costs and also for possible void periods. It can be difficult to uncover the best mortgage deals out there, particularly when the products available and their applicable rates can change daily. It is, of course, possible to do the legwork yourself, but an independent mortgage broker can make the whole process much easier. They should also be able to help you decide whether to choose a tracker mortgage or a fixed-rate product. Despite the economic uncertainty, there are still some excellent fixed-rate deals around. As ever, the most competitive tend to be reserved for buyers with the largest deposits. You may also find that a property with the potential for a very good rental income may help you secure a better mortgage deal. Similarly, if you have income that is not property-related, you may also find it easier to be approved for a competitive buy-to-let mortgage product. When negotiating to buy a property, don`t be afraid to haggle in order to get the best price. In most areas, it is very much a buyer`s market at the moment. Take advantage of this!